c. software / hardware or other ICT products being sold through a re-seller. The rewards in the above examples are clear, however what are the some of the risks, unless the risks are addressed and mitigated by a suitable contract? In scenario (a) above, who owns the code the subcontractor develops? The answer is that unless there is an agreement in place to the contrary, the subcontractor retains ownership of all copyright in the code, and the head developer merely has an implied licence to use that code for the purpose it was created for. There may be a number of unintended legal consequences which follow. For example, the head contractor may have agreed to assign all copyright to the end client (which would not be unusual). The head contractor may also provide a warranty (promise) that they own all IP that is created and provided to the end client. Here, the head contractor would immediately be in breach, since they are not capable of assigning all copyright to the end client, for the simple reason that they do not own it. In scenario (b) above, there are a number of legal risks to consider and address in a suitable contract. These include, who owns any IP that is created by the parties under the joint venture, what is the scope of licenses to use background IP, how must confidential information be protected, what is the allocation of risk between the parties, are there any restraints after the joint venture comes to an end, and what are the specific rights and responsibilities arising from the relationship. In scenario (c) above, again, there are a number of (different) legal risks to consider and address in a suitablecontract. These include, who is responsible for defects in the goods / services, what is the commission structure and payment terms, what branding can or can not be included with goods / services, are there territorial restrictions on where the re-seller can operate, is the re-seller engaged on an exclusive or non-exclusive basis, and again, are there any restraints after the relationship comes to an end? 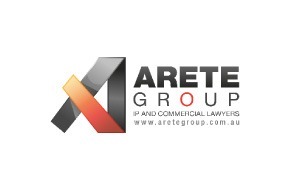 Our expertise in the relation to the ICT industry is highlighted by our staff including lawyers with more than 10 years experience drafting and negotiating ICT related agreements, plus we have a lawyer with a computer science degree with developing expertise in ICT law. Contact us on 02 6162 1639 or [email protected] for a no obligation and free of charge initial discussion about your possible legal requirements.